A Chinese court announced on Monday that Apple had reached an agreement with Proview to pay $60 million for the Chinese rights to the iPad trademark. The Guangdong High People's Court declared an end to the dispute between the two companies after making public the news of the settlement, the Associated Press reported on Sunday. Though Apple will have no trouble paying the $60 million, the figure is a significantly higher price tag than the $55,000 that the company claimed it paid for the trademark in 2009. For its part, Proview had argued that the Chinese trademark hadn't been included in a deal to transfer other international rights because legal representatives from its Shenzhen affiliate weren't present when the contract was signed. Settlement negotiations began in April, according to a lawyer from Proview. In May, a Chinese newspaper suggested that Proview had turned down a $16 million settlement offer from Apple. At the time, reports suggested that officials at the company were seeking $400 million for the mark. Proview is rumored to owe as much as $400 million to its creditors, which include several prominent Chinese banks. 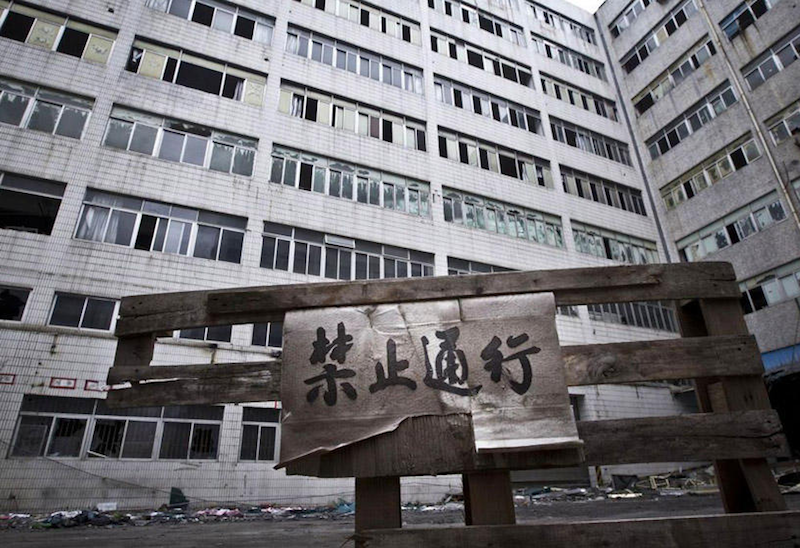 Derelict Proview factory with a sign roughly translated to "Do not enter." One creditor, Fubon Insurance, has been particularly active in seeking to have the company declared bankrupt and liquidated. Proview was formerly a successful monitor maker, but it has fallen upon hard times. With the legal dispute with Proview out of the way, Apple could be cleared to move forward with releasing its third-generation iPad in China. The new iPad first hit the market nearly three months ago. Chinese regulatory permits for Apple's latest tablet have steadily come in, but some pundits believe that the uncertainty of the Proview lawsuit has led to delays in bringing the device to the world's most populous nation.